A popular Super Smash Bros. Melee controller’s potential ban from big-time esports tournament Genesis 4 has sparked a debate throughout the Smash community over what constitutes a tournament-legal controller for a 15-year-old game. The controller’s creator says its ban would be “devastating” for his business. Over a dozen years after Melee’s release, nearly everything about its tournament rules are set in stone—except for tournament-legal controllers. The introduction of the SmashBox is making Melee players question whether they should modernize. Genesis 4, which takes place in January, is the second largest Smash tournament. Over 1,300 contestants will compete in the Melee singles event. In a private conversation with a Genesis 4 organizer, Dustin Huffer, who created the SmashBox controller, was told earlier this week that his controller, which is not yet widely available, may not be tournament legal. When he explained to pro Melee player Dustin White, aka Gravy, that the controller could get banned, the issue caught fire on social media. Melee players have always used a standard GameCube controller, which has sticks, triggers and buttons. Years have taught more discerning players that these controllers have some issues. Pro Smashers say the GameCube controller’s sticks degrade over time and that its analog inputs are inconsistent (i.e. getting an exact angle each time is hard). Also, over time, it’s tough on hands. 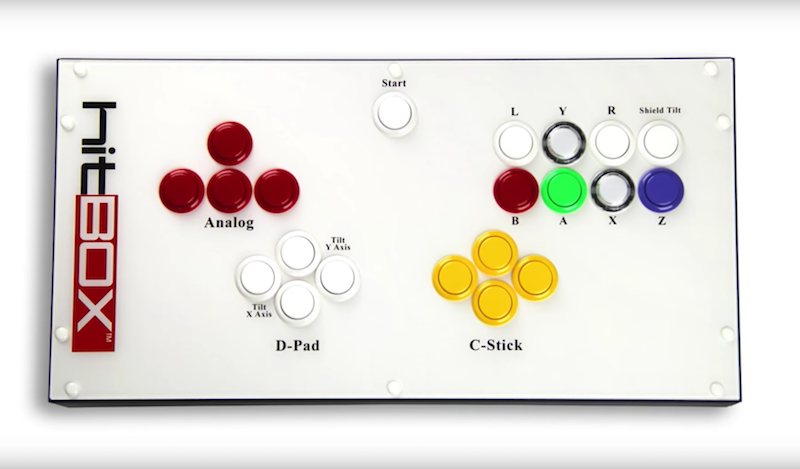 The SmashBox controller is all buttons, like an arcade cabinet’s console, so directional movements are mapped onto cardinal directions. It’s like more traditional fighting games’ controllers. Huffer thinks his controller could be banned “out of a belief that changing the fundamental motions of how you play Smash Bros. is a bannable offense.” He wants to launch a Kickstarter campaign for the SmashBox, but its tournament status could throw a wrench in his plans. Genesis 4 tournament organizer Sheridan Zalewski told me the ban is still being discussed and will play out in public forums. He and his co-organizers think that the SmashBox, in itself, isn’t necessarily anti-competitive—a claim that Melee commentator Daniel Lee (aka Tafokints) echoed over e-mail. But “keeping it legal would require legalizing certain categories of modifications that they believe change the game and the skills involved too much,” Zalewski said. He cited the ability to map a very precise and difficult position, typically executed on a control stick, onto one digital button as the main issue. It could open the floodgates for other modifications that could prove game-breaking. [Correction—2:00 PM EST]: An earlier version of this article stated that the SmashBox controller allows macros. Huffer elaborated in an e-mail that the “Smash Box cannot do anything that traditional GameCube controller can’t — you just input your moves differently. Because of that everything is more precise and ergonomic, which is the goal of the project. We don’t condone macros.” We regret the error.